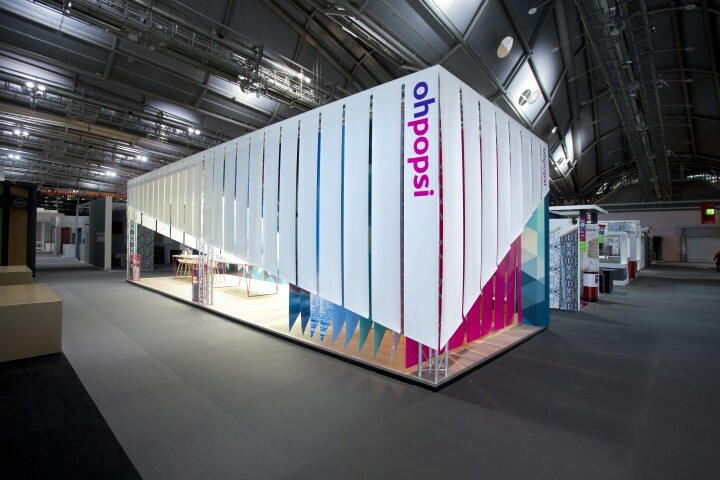 ﻿ Ohpopsi / Exhibition Stand | not tom. 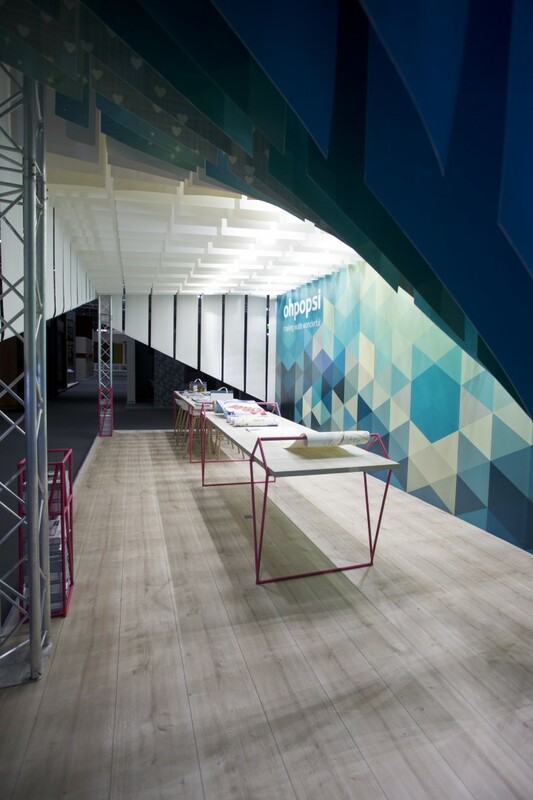 Mural wallpaper makers Ohpopsi approached us asking for a high impact exhibition space, which would stand out at the Heimtextil trade show in Frankfurt. 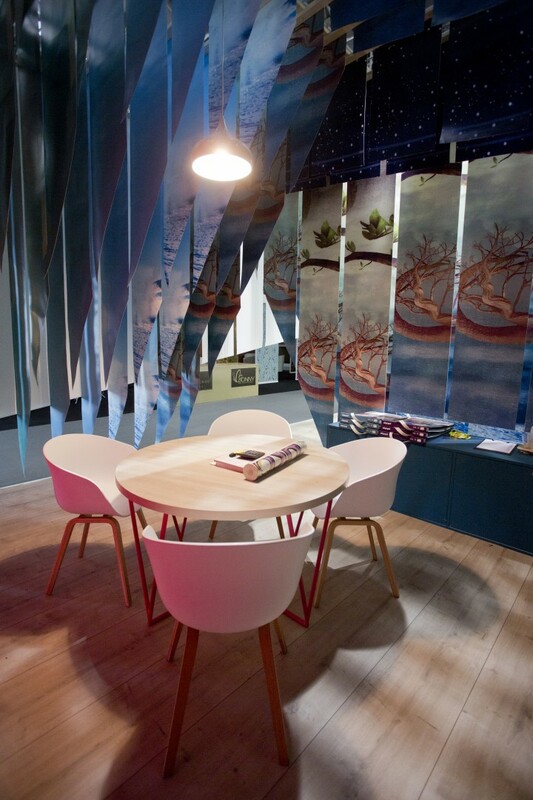 A simple design with high impact was key. 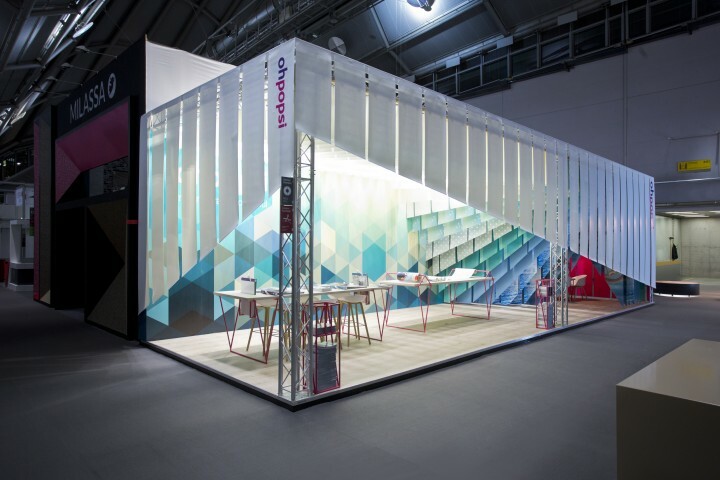 We wanted the stand to be fun, contemporary and eye-catching to reflect the brand values. 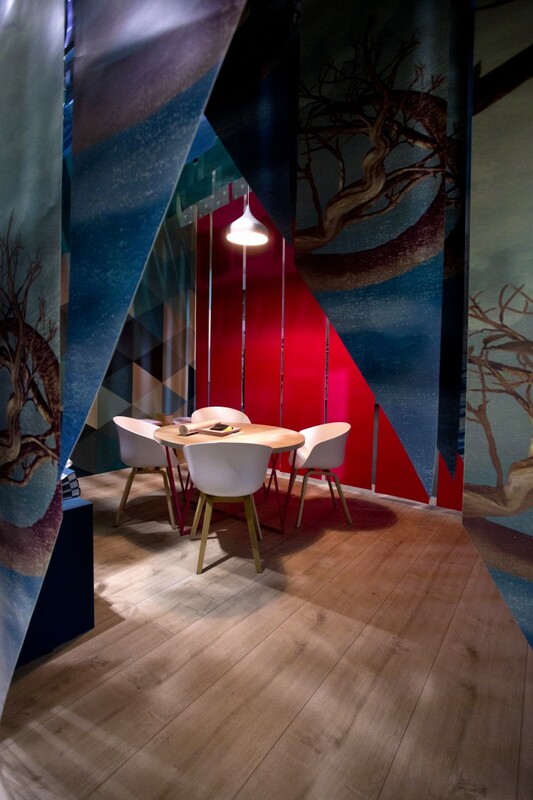 The quality of Ohpopsi’s wallpaper is what sets them apart from competitors, so we wanted to create a design which would showcase this. 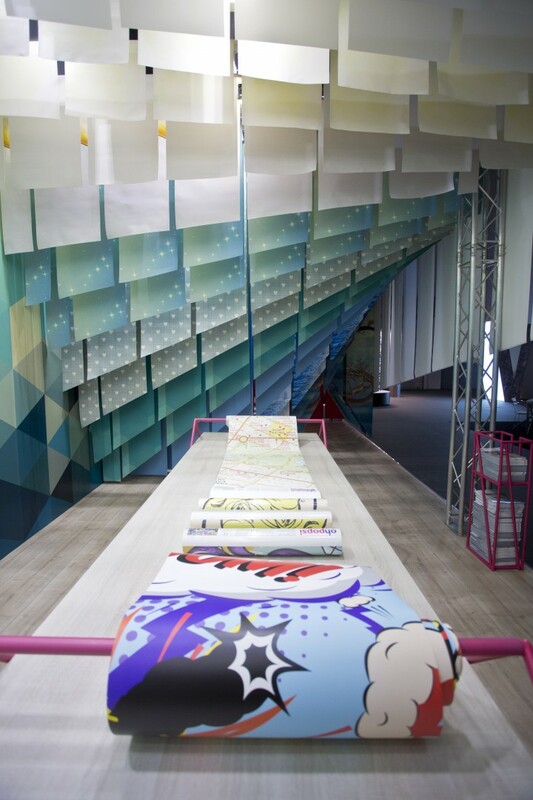 For that reason we designed a stand that could be built entirely from Ohpopsi’s wallpaper product. 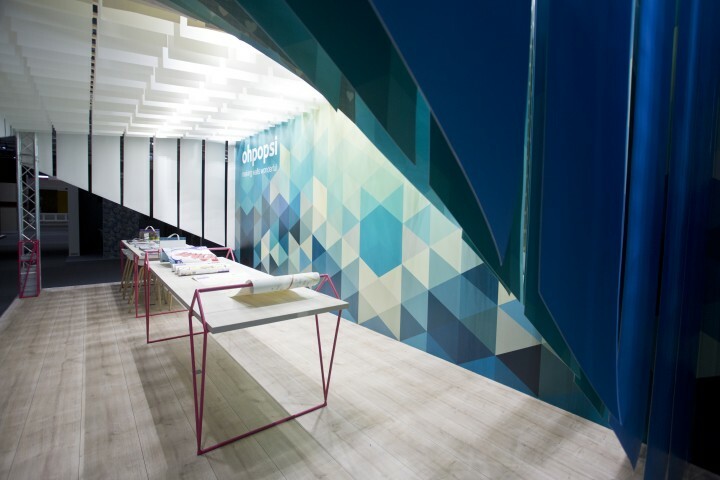 Mirroring the geometric patterns found in one of Ohpopsi’s wall murals we designed bespoke tables to hold the wallpaper rolls, which allowed customers to handle the paper and take samples as they wished. 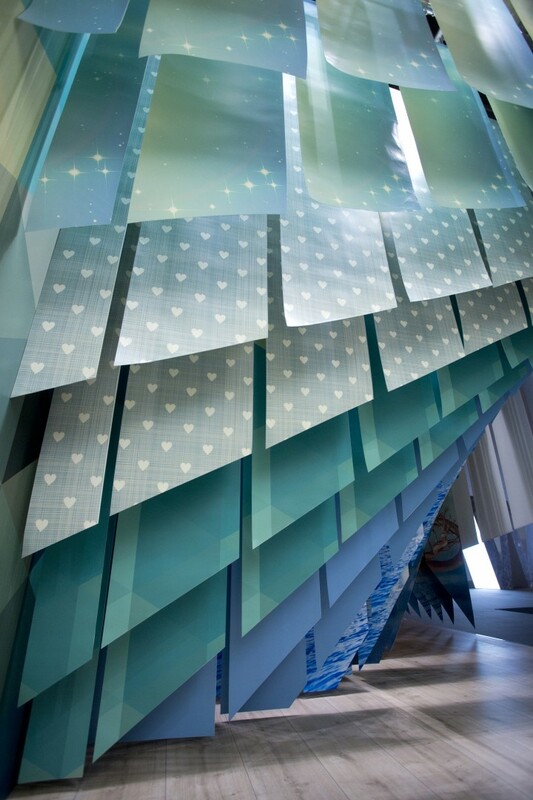 To create impact we hung the paper in a dramatic descending formation, which allowed an array of different designs to be displayed. 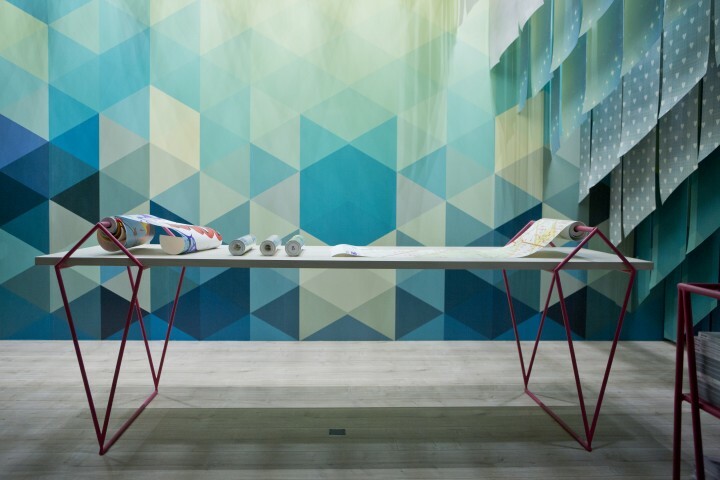 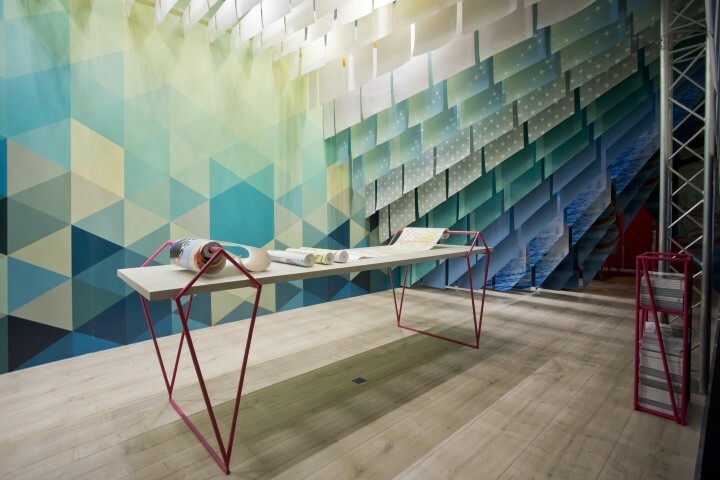 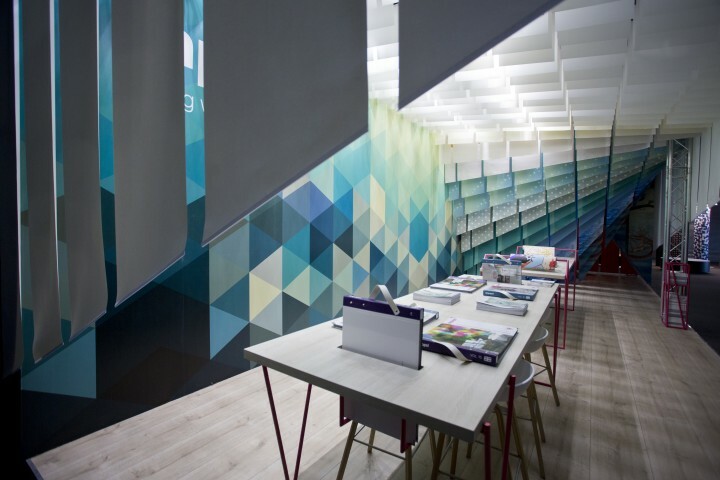 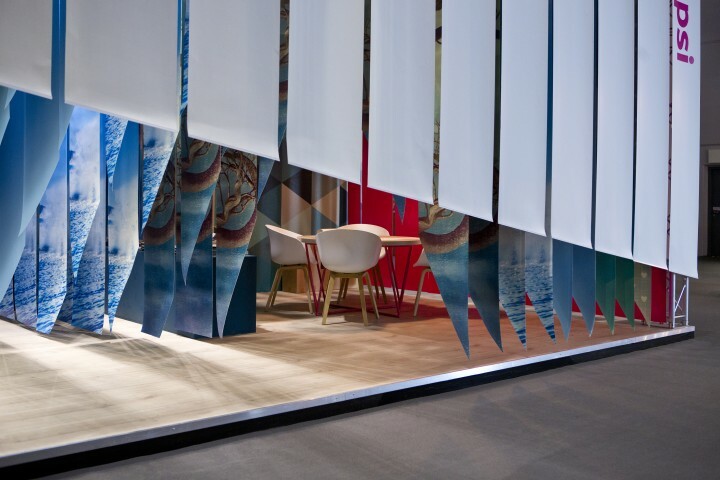 The stand design included a semi-private space made entirely of wallpaper, for meetings with buyers and clients.